Thinking about improving customer retention with an attractive 10% off voucher campaign? How about growing your customer base with special deals aimed at first-time participants? Or perhaps you’re interested in using vouchers to get more people in the door on slow days? 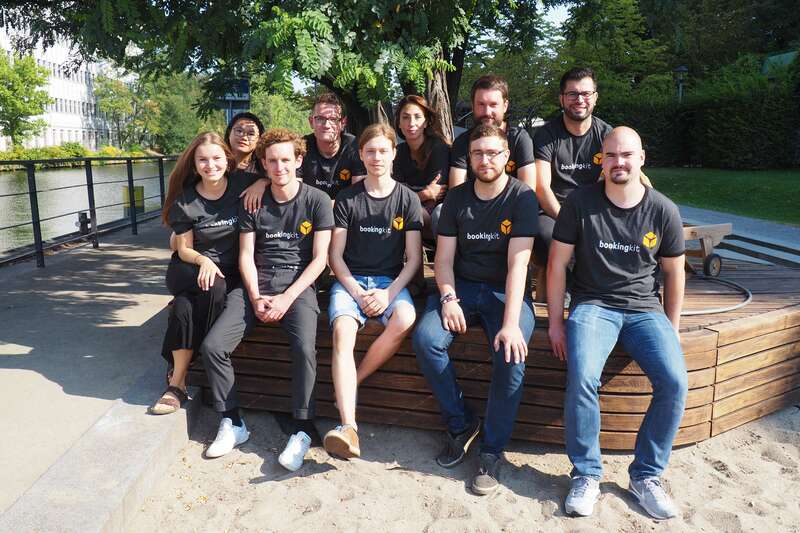 With bookingkit you can do all this and much more! Keep reading to learn how. How do I create a special voucher campaign? In your bookingkit account, go to Orders > Promotional Coupon to see an overview of your previous special deal vouchers. Here, you can filter between active and inactive (i.e. expired) vouchers (2) for a more targeted view. 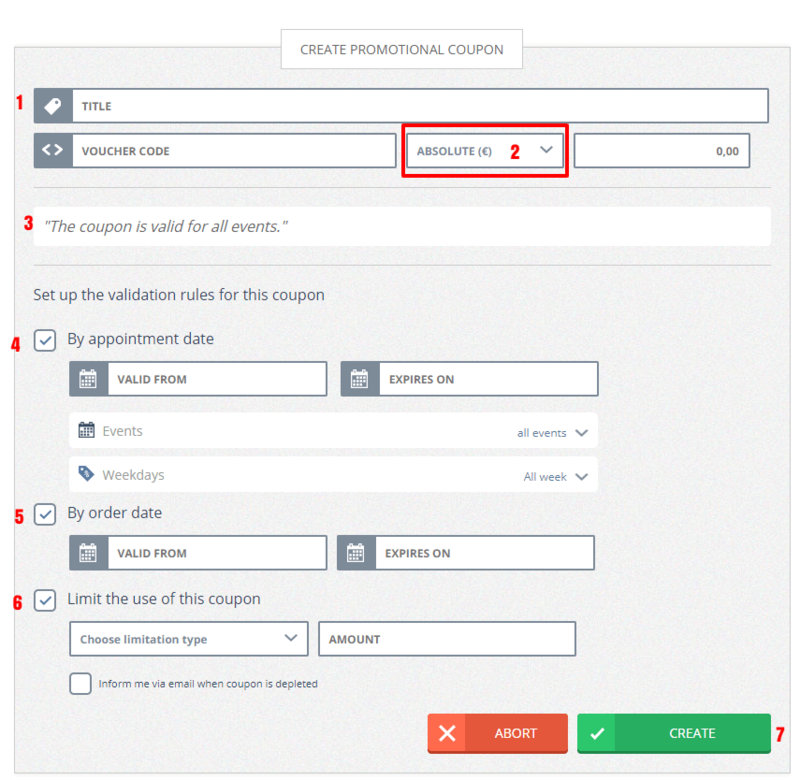 To create a new voucher, click the Create Promotional Coupon button (1). Enter a name and voucher code. Important: your voucher code must be at least five characters long. Next, specify whether you want your voucher to have an absolute value (e.g. €5) or a percentage value (e.g. 5% off). Then specify the activities and days for which your voucher campaign is valid. You can limit the validity of your voucher to a specific time period for all activities (e.g. valid for all activities taking place in the month of August), and you can also limit validity to certain activities or days of the week. Next, specify the order period for which your voucher is valid (e.g. 10% off all bookings placed in August). Finally, you can limit the availability of vouchers based on the upper limit of your budget or the maximum number of vouchers you want to sell. If you choose to limit the number of vouchers in your campaign, you can have bookingkit send you an email once your vouchers are used up. When you’re finished, click Create. You’re done! bookingkit gives you the option of canceling existing special deal vouchers. To do this, simply click the red X next to the special deal voucher in the voucher overview.